You are at:Home»HEALTH»Get Healthy»Get Healthy Now! TIME is the great equalizer — no matter how rich or how famous we are, we can’t buy more. That’s why when we get sick, time comes to a grinding halt. We do deals with the devil, search for magic bullets to get rid of it. THERE ARE no magic bullets — prevention is the only way to stay in the game in the first place. As Americans, we EXCUSE away things that are out of balance, BLAMING our ailments on a this flu thing or some stomach bug. We focus on what’s going on outside of the body instead of inside, which is where imbalance starts in the first place. Truth is, if your immunity is strong, bugs and flus never have a fighting chance. When I started studying Ayurveda 15 YEARS AGO, I was a HOT MESS. A combination of factors, including vaccine injury, formula vs. breast milk and overuse of antibiotics, led to chronic symptoms for 37 years: poor digestion & diarrhea; strep throat & tonsillitis; excruciating gall bladder pain and severe acne. I was skinny as a rail and, in fact, poor digestion led to salmonella for which I was hospitalized for a week at the age of 10. It took hitting bottom to realize enough was enough: I wanted to learn how to cultivate good health, and it started with eating good food. The good news is you can learn how to do this for yourself, no matter who you are or what your situation. Five Steps to Perfect Health can start you on the road to taking control of your life. Word of warning: they are simple, not easy. Also, toxic load and your personal history will have an affect: symptoms often get worse before they get better. Become Aware of how you can truly nurture your body and cultivate a state of divine health. These steps work well together. If done separately you will not see a huge change. But the combination of the cumulative effects is what is significant. No matter what you’re doing or who you are, when you feel great, life ROCKS!. Americans SAY health is a top priority, but they often have a hard time taking responsibility for it. So take this advice: Be proactive now to care for yourself. You’ll thank yourself later. 1. No food after 8 p.m.
H20 is the best way to ‘break’ your ‘fast.’ It’s a gentle pipe cleaner for the body, and also helps balance the digestive system first thing in the morning. 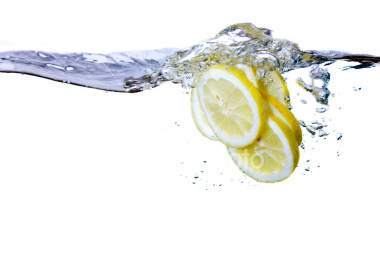 The lemon i s key because it has an alkaline affect on the body. The more alkaline you are the healthier your immune system. Remember: bacteria and viruses cannot live in an alkaline state, but they thrive in acid (sugar, coffee, meat, balsamic and red wine vinegars, alcohol and other fermented foods, processed foods). So having the lemon water first thing means you get a nice soft flush in the a.m. after the janitor has done most of the heavy cleaning. Step 3. Switch to decaf. The number one condition I treat in my Ayurvedic consulting practice is caffeine addiction (number two is constipation, number three is candida infestation). Hate to break it to you, but caffeine is a dangerous narcotic. That means it interferes with the body’s natural functions. “But I only drink a cup a day,” clients tell me. Remember: what you do everyday affects you the most. One cup a day means 30 cups a month! That’s 365 cups of coffee a year. Imagine! The caffeine monkey will want you to feed it more and more and more and more and more…. One cup today will be three cups in five years, and five cups in 7 years and so on and so on. I watched my aunt suffer brutal headaches in the morning until she had her coffee. And by the time I was in my teens she required five cups every morning just to get rid of it. She eventually died of brain cancer — was caffeine addiction an accelerator? Remains to be seen. This is the inevitable path of caffeine addiction. If you know you need it and can’t live without it, that’s a sure sign you better give it up. 1. Start by blending 1/2 caffeinated, 1/2 decaffeinated. Do this for one week. On the second week, make it 3/4 decaf and 1/4 caffinated for 3 days, then taper to 100% decaf as soon as you can. 2. At the beginning of the second week start detoxing, keep hydrating and avoid chocolate and other hidden sources of caffeine. 3. 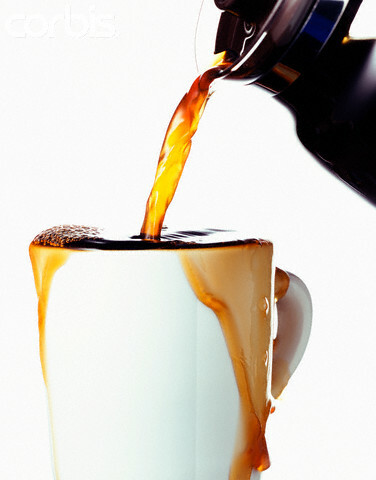 Take the tincture for ten days after you stop caffeine altogether, or until the tincture runs out. If you are a heavy user you may experience headaches and constipation. Take triphala for the constipation, drink lots of water and take psyllium at night for the headaches. Acupuncture is also an awesome addition. Headaches usually last 10 days, constipation can last longer. Stick with it; once you detox from caffeine it is like a cloud lifting. You will feel, look and sleep better than you have in years! Step 4. Go upside down. Inversions are the most powerful form of yoga. The Sanskrit term, Niralamba Sarvangasana literally translated is “all whole,” which means it is good for your whole body. That means your thyroid, pineal and pituitary glands, thymus, parathyroid — all your master computers of your body — get fresh oxygenated blood when you are inverted. Reverse gravity causes all the fluids in your body to replenish tissue in the opposite direction — tissue that as we age often gets ignored. You are literally massaging your body with fresh oxygen from the inside out — Kidneys, adrenals (that sit like little hats on top of the kidneys), gallbladder, liver, pancreas, spleen — all refreshed. And those little diverticuli? They get emptied out like a pocket in a heist. Here are the deets on the best way to do an inversion, which is a unique approach developed by my amazing teacher, Loretta Pharo, RN. Step 5. 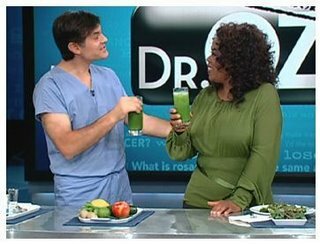 Healthy Green Drink is the new breakfast. Get your green drink on, people! If you’re not doing this yet, it’s t-i-m-e. What’s the fastest way to build your immune system? Put good stuff in your body! You don’t have to do it every day, but remember what you do everyday affects you the most. Have it at least three times a week. First thing in the morning after your hot water and lemon maximizes its effectiveness. Pure Synergy is my favorite. I blend it with fruit, probiotics and either raw milk or water. Probiotics are important because they keep good bacteria at bay by a ratio of 200:1. Read that again. That means for every one good bacteria in your gut, 200 bad ones are out of commission. Problem is, you only get probiotics in nature from your mother’s breast milk. Which means if you’ve ever taken an antibiotic, (or were never breast fed in the first place) you r probiotic population is l-o-n-g g-o-n-e. Unless you replace, they stay erased. Most of you think yogurt is the best source of probiotic, but beware: dairy yogurt makes mucous which is part of the problem you are trying to eliminate. Plus you’d have to eat SO MANY yogurts to get the quantity of good bacteria population you need… It’s best instead to take a healthy supplement. I recommend Metagenics Probiotics, which I also add to my green drink. …carry this card in your wallet. Print it out and have it laminated. It tells you the Dirty Dozen: 12 fruits and vegetables known to be the most toxic when consumed conventionally (Natural Baby & Childcare, Dr. Lauren Feder). That means if you can’t afford to go organic on everything, at least go organic on these twelve. They are apples, celery, cherries, grapes (imported), nectarines, peaches, pears, potatoes, red raspberries, spinach, strawberries, sweet bell peppers. Good health to you all — thanks for taking the time to read my first post. I appreciate any feedback you are inclined to share. p style=”text-align: left;”>Peace and Blessings! Previous ArticleWeed with Your Yoga Class? I can’t wait to try this special shoulder stand! Thank you for posting this. I sent your blog to my boyfriend and a week later the greens and probiotic were waiting on my doorstep. Great boyfriend, and awesome products! We are going to start the lemon water and inversions soon. much love and miss you. I have recently started using defac and yes it is really makes me feel healthy. Rest of the tips are also quite good.